The project is located in Kagawa, Japan, with a capacity of 10MW. Taking the terrain evaluation and safety assessment into consideration, Antaisolar provided U pile solar mounting solution for the project, which could be adjustable in east-west direction and suitable for the slope. Meanwhile, single pile could effectively reduce the material cost and construction time. Compared with other solar rackings, the advantages of this solution are more obvious. Furthermore, the completion of solar plant could make full use of the resources of the golf course and obtain more economic benefits without damaging the original environment. 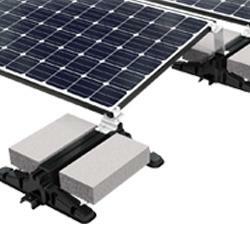 The east-west adjustable U pile solar mounting solution enables quick installation even under complex terrain and slope conditions. Due to the large adjustment of installation angle and height, it can adapt to various climatic conditions and has high flexibility. The customer responded that although the project construction was difficult, the solar rackings provided by Antaisolar are easier to use; four people could get 200 piles via two pile drivers in one day. Antaisolar has achieved more than 2.5 GW of ground solar mounting system installations in the Japanese region. Although the domestic market is still in the shadow period due to the 531 new policy, a healthier and more benign industry is expected. In contrast, overseas business has been in full swing.Antaisolar, which is globally deployed, has been able to face the pain of the new policy with ease.